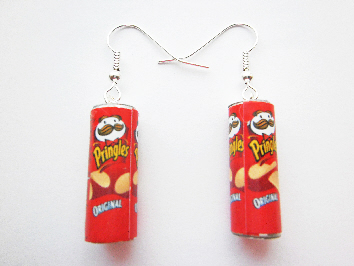 These quirky fun earrings are back in stock. Choose from sterling silver or silver plated earrings. Unique handmade miniature food can pringlers earrings made in two mouth-watering flavours, sour cream and onion and original ready salted varieties. Free gift bag included with this order. Pringlers cans are made from metal.